1- Are the calculated values of fL and fH correct? Given that Vm=10 Vp-p and Vc= 5 Vp-p, what is the modulated AM signal output Vp-p should be? In this circuit I think the modulation is slightly below 100%, what do I need to do to make it at 100%? The message signal doesn't seem to be synchronized with the AM signal how can I correct that. 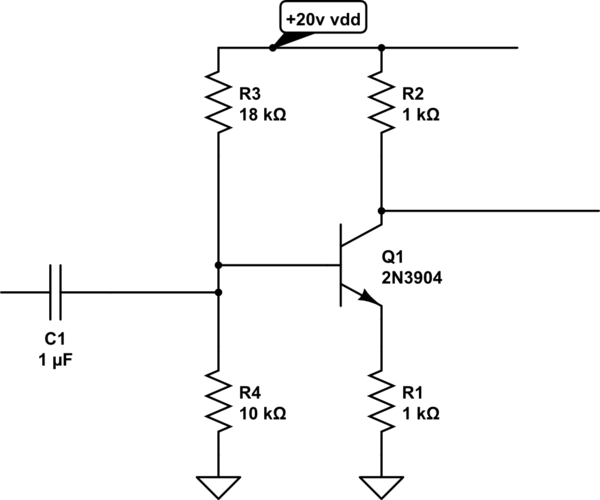 In the second circuit I used a parallel LC band pass filter which gives a 100% modulation but the output voltage is in micro volts, how can I amplify the output voltage without effecting the modulation if it does? Generating AM has nothing to do with bandpass filters. If you have a carrier frequency of 600 kHz and a modulation frequency of 1.5 kHz, the resultant AM spectrum will consist of signals at 600 kHz, 600 kHz - 1.5 kHz or 598.5 kHz, and 600 kHz + 1.5 kHz or 601.5 kHz.That is the characteristic of all AM signals: the spectrum is the carrier plus signals above and below the carrier separated by the modulation frequency. The relative levels of the carrier and modulation are a function of the percentage modulation. If you use a bandpass filter to remove one of the sidebands, than you would no longer have an AM signal but a SSB signal. Given the amplitude values of the carrier and modulation is not enough to determine the amplitude of the output since you need to know the transfer characteristic of your AM modulator; i.e. what percent modulation for each volt of modulation input. If you want to get 100% modulation you would need to increase the amplitude of the modulation signal assuming your modulator is capable of generating 100 % modulation. 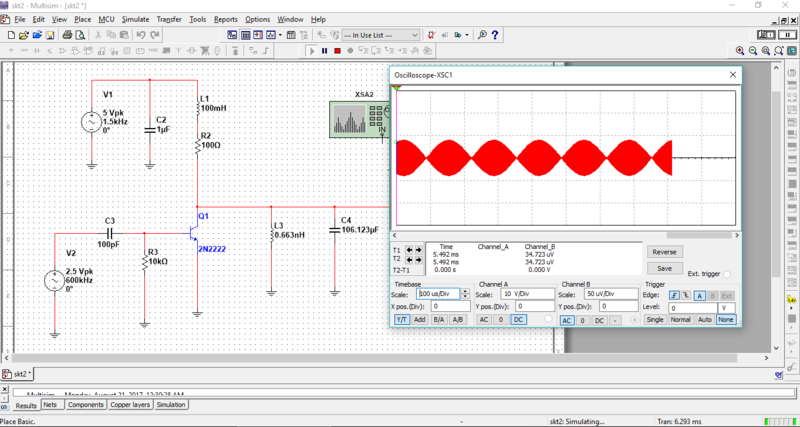 In your 2nd circuit, there is lots of distortion; as your output waveform heads to zero volts, the waveform is a "V", not the valley of a sinusoid. 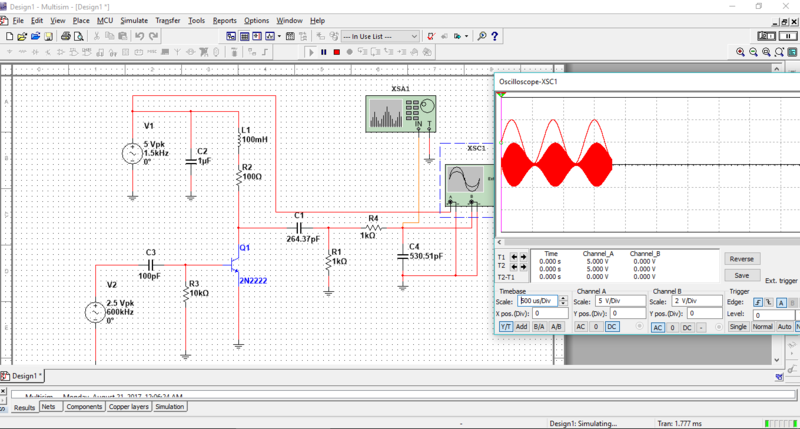 Bias that transistor into linear mode. Not the answer you're looking for? Browse other questions tagged filter modulation am or ask your own question. How to calculate R and C for AM Demodulation envelope detection?